The team at the ibis Coimbra Centro hotel would like to welcome you and wish you a pleasant stay. Take advantage of our location, in the heart of the city, to relax and discover the historical and cultural wealth of the beautiful city of Coimbra. Our charming hotel in the center of Coimbra, on the banks of the Mondego River, is ideal for leisure breaks and those wanting to visit the main attractions, such as the University and the old town district, Baixa de Coimbra. 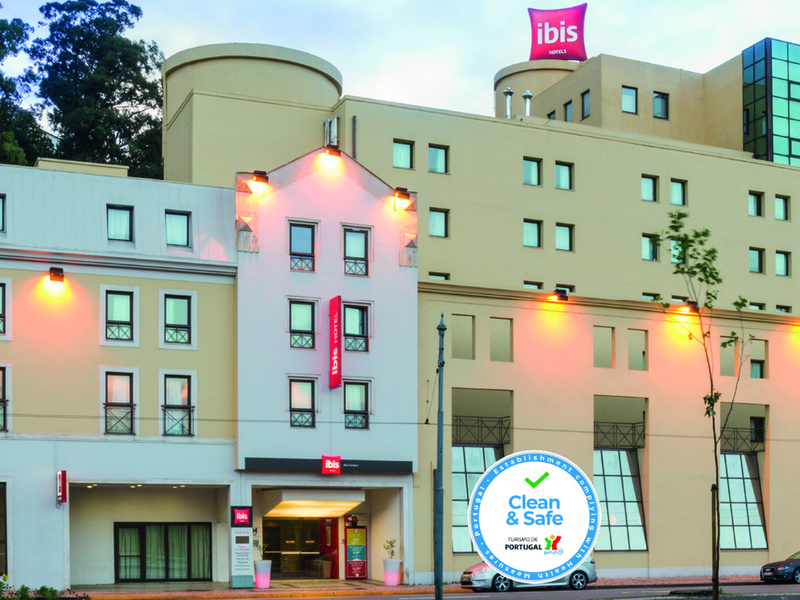 This ibis hotel in Coimbra is strictly non-smoking and features WIFI, a restaurant, parking and two fully equipped meeting rooms, while our relaxing rooms ensure you have a comfortable stay. Historic, romantic and contemporary city. Strolling through the age-old streets, take a journey through history and explore the ancient city. Discover the love stories among the trees of the Botanical Gardens. Discover the ibis Kitchen Menu; simple, healthy and delicious, with a drinks and hot and cold light snack service that caters to all tastes. Order at the bar or at reception 24/7 to enjoy whenever and wherever you like.